If you've ever tried to implement a new system or solution in your business, you'll be aware that it's not exactly an easy process. From securing the support of your organisation, to integrating with legacy systems, and finally ensuring that your customers are satisfied with the outcome, there are a number of common pain points you might encounter along the way. To make the process a little bit easier, consider if a SaaS solution meets the needs of your enterprise. As these kinds of solutions are deployed via the now-ubiquitous cloud, they allow you to move from the initial corporate 'buy in' phase to the 'results' stage quicker than ever before. "For most businesses, when you really want to do something that's innovative, you're going to need to demonstrate the value. What's changing the way software is procured and the way services are procured is SaaS – software as a service has changed the expectation of what you can do, how much you're going to pay, [and] how quickly you're going to see results. 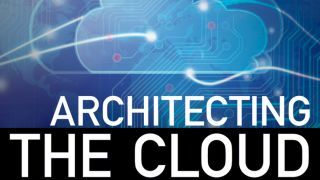 With the option of being able to use the cloud, you can deploy more quickly, it takes a lot of the risk out, and potentially takes some of the cost out, too."